Fishing in Minnesota is a pillar of the tourism economy in our state and beautiful water is the focal point for most Minnesota family vacations! Good stewardship by all who enjoy Minnesota lakes ensures clean water and good fishing for generations to come. This is a letter that we will be sending out to our guests prior to their arrival this summer. We hope to encourage everyone who fishes or recreates on Minnesota water to think of ways they can prevent the spread of invasive species. Look at those faces! They are the reason that we act to protect our waters and our fisheries. You may or may not be aware of recent news identifying one of our local lakes as the latest casualty in the zebra mussel story. Larvae was found in a popular fishing lake this year and while there is no reason to panic over that news it certainly ratchets up the heat on preventing the spread of invasive species in Itasca County. Preventing the spread of invasive species comes down to taking personal responsibility for our actions as they relate to boat ownership. Jay and I take the threat of invasive species very seriously and we sincerely hope our guests hold Wildwood Resort and Bass Lake in enough esteem to do the same. Here are some points of information and suggestions that we’d like to share with you. Most come directly from the DNR Fisheries Area Manager, Chris Kavanaugh. Chris is a supporter of resorts and understands the issues that face our industry. 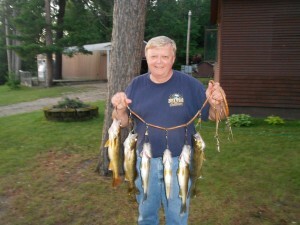 He is also (obviously) a big supporter of fishing in Minnesota and allowing public access to our lakes and rivers. Be Informed! If you intend to fish area lakes while on a visit to Wildwood Resort or if you just like to lake-hop around your home area make sure you have identified the lakes that are already infested. The 2013 Fishing Regulations includes a list of infested lakes and the DNR keeps an updated list on their website at: http://www.dnr.state.mn.us/invasives/index.html. 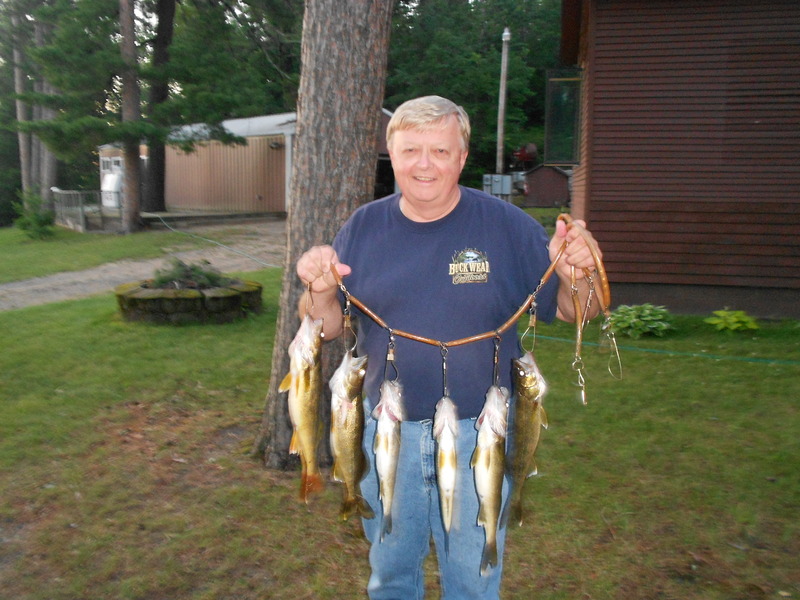 Chris advises that if you are going to fish more than one lake on any given day and one of those lakes has an identified invasive species then perhaps visit the infested lake last. That way your boat has time to dry out overnight before you would put it in another water body. 1) Exchange water on your bait. If you are leaving a water body and you empty your minnow bucket of lake water then with what do you replace it? Chris suggests carrying a cooler of water from home in your vehicle. Empty the bait bucket of lake water and then submerge the bait in the cooler of water you brought along. Repeat the process at each lake you visit. You could also carry jugs of water from home to pour into the bait buckets if you don’t want to keep a cooler of water on your vehicle for that purpose. Note that any water brought from home should be stored in your vehicle – not in your boat! 2) Once your boat is on the trailer, position your motor to best drain the water. Experiment to see what position allows the most water to drain. Then turn your motor on and off a couple of times to kick out any lake water left in the motor’s water pump. 3) If possible, move your boat to an incline that will allow both boat and trailer to drain while you finish strapping down the boat for transport. 4) Inspect the rollers and/or the bunks on your trailer to make sure no plant or other material is caught in the rollers. If possible, inspect them before you finish cranking the boat all the way into position on the trailer. 5) Before fishing season begins inspect your trailer to see if you can modify any areas that might trap lake water. Consider drilling holes or removing caps on hollow tubing to allow water to drain completely. 6) Remember that Minnesota state law requires you to drain the live well, bilge and bait buckets before leaving a water body. And you must travel with the plug out of your boat in Minnesota! Claiming ignorance of the rule will not prevent a fine so make sure you pull the plug even if you are only a short distance from a public access to your destination. Visit the DNR site at: http://files.dnr.state.mn.us/eco/invasives/q_and_a_drain_plug_law_20110609.pdf for details about transporting your boat in Minnesota. Be Responsible! If you love fishing and value our lakes and rivers practice good “boat hygiene.” Proof of an invasive species is not a reason to avoid fishing infested water. You simply must take personal responsibility for making sure that when you leave the water body you aren’t carrying the invasive with you to another lake. It’s up to each of us as individuals to stop the spread of invasives and to preserve the quality of our lakes. 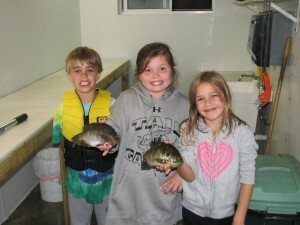 We look forward to welcoming you to Wildwood this year and wish you great Minnesota fishing this season!